When con artists are depicted in movies, they typically come in the form of suave and sophisticated people who know just the right way to manipulate others so that they get what they want. 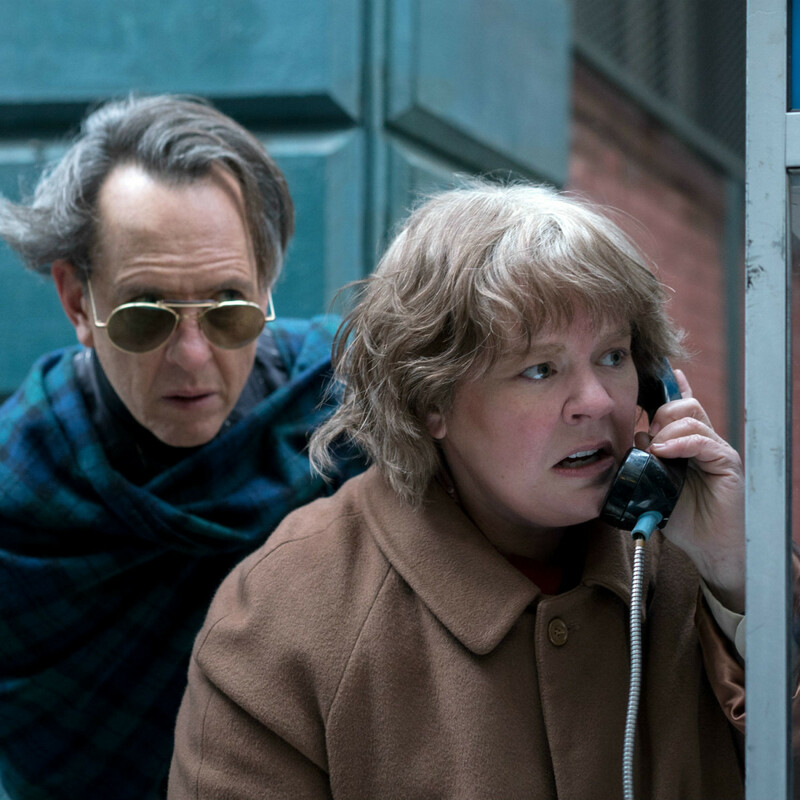 A much less refined type of scammer is at the heart of Can You Ever Forgive Me?, a movie that is all the richer for her lack of social skills. 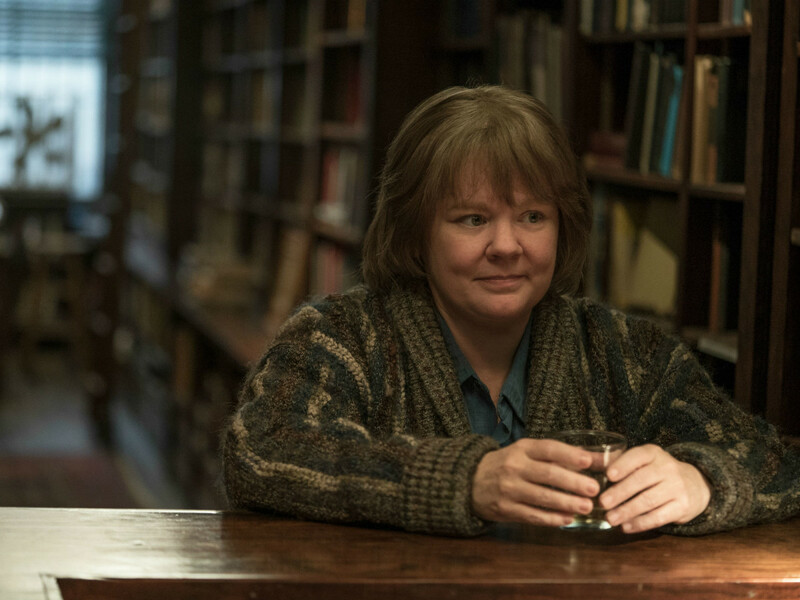 Melissa McCarthy plays Lee Israel, a real-life author who has fallen on hard times in the 1980s. Unable to get momentum for her passion project about vaudevillian Fanny Brice, Israel has to resort to selling things, like a personal letter from Katharine Hepburn, to pay rent. A chance discovery of a real letter by Fanny Brice soon thereafter makes her realize the value of such documents, starting her down a path of celebrity forgery. 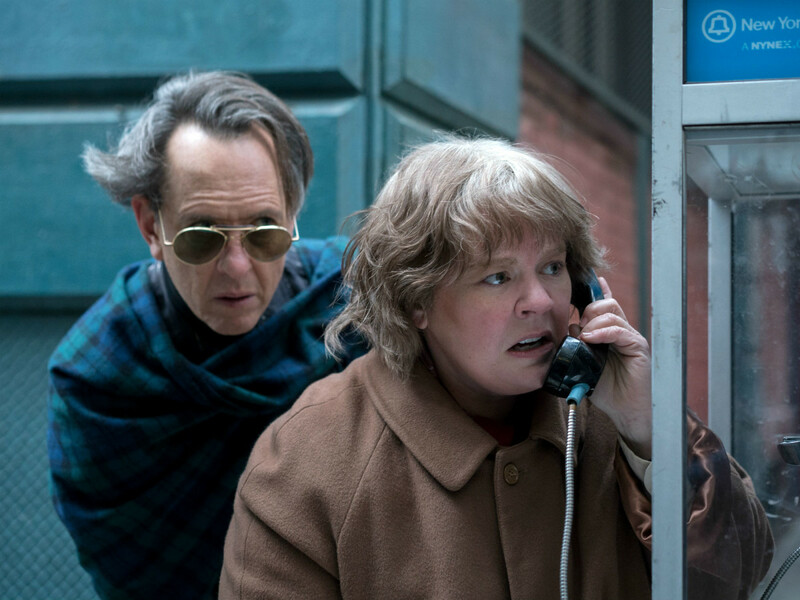 In the midst of her new criminal enterprise, an old acquaintance, Jack Hock (Richard E. Grant), comes back into her life. The two soon become co-dependent in both drinking and life in general, with Jack a little too supportive of Lee’s choice to commit fraud. 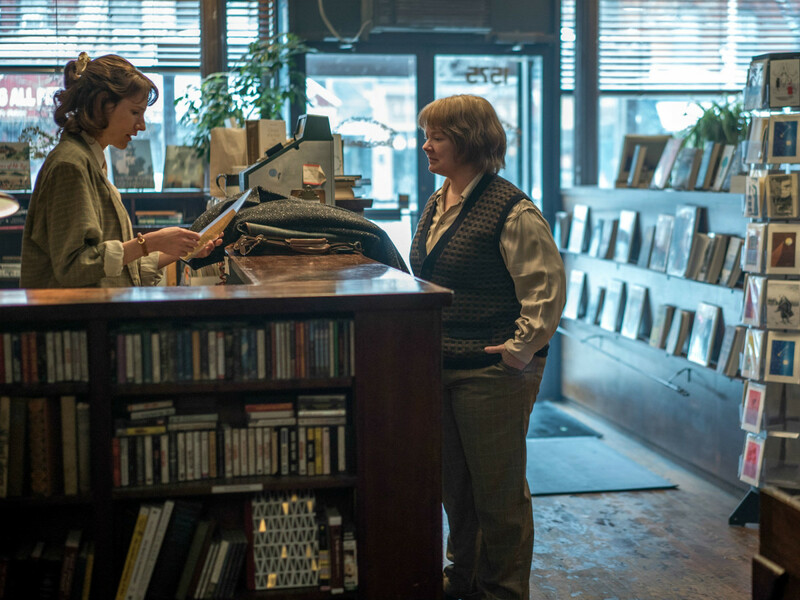 Directed by Marielle Heller and written by Nicole Holofcener and Jeff Whitty, the film is about as unglamorous as they come, starting with the plain and frumpy look of Lee. Everything from her helmet hairstyle to a severely dirty apartment suggests that she has long given up on trying to prove her worth to anybody else. That extends to her letter fraud scheme, one that she is able to accomplish almost despite herself. 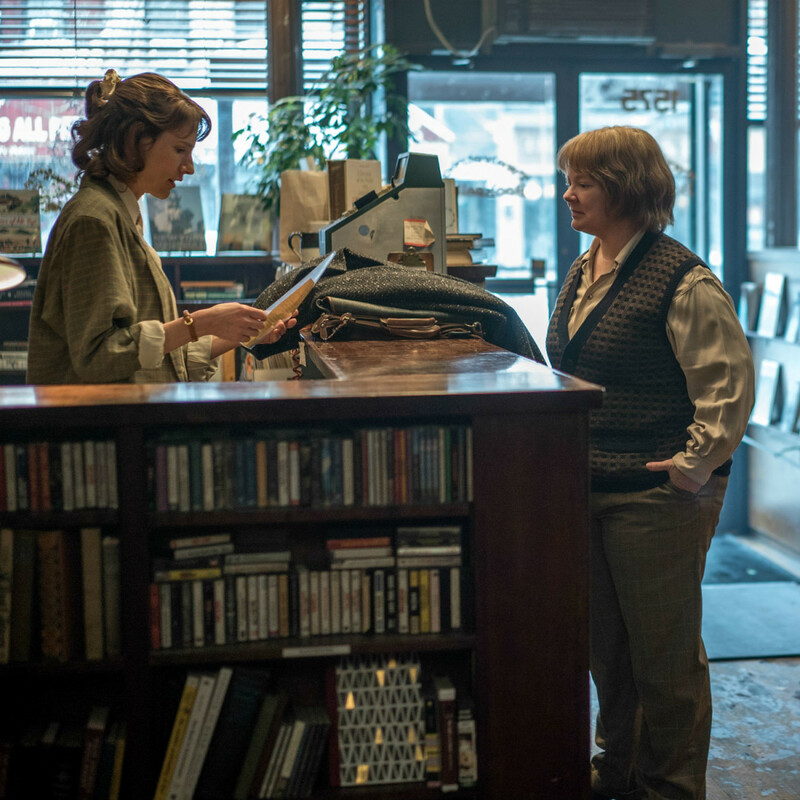 Her interactions with various book dealers throughout New York are so awkward they’re almost comical, with her literary knowledge her only saving grace. Lee’s friendship with Jack plays as both entertaining and sad. Their interplay can be highly amusing and they seem to have a genuine connection, but underlying everything is the fact that they are each serving as one of the other’s few lifelines. 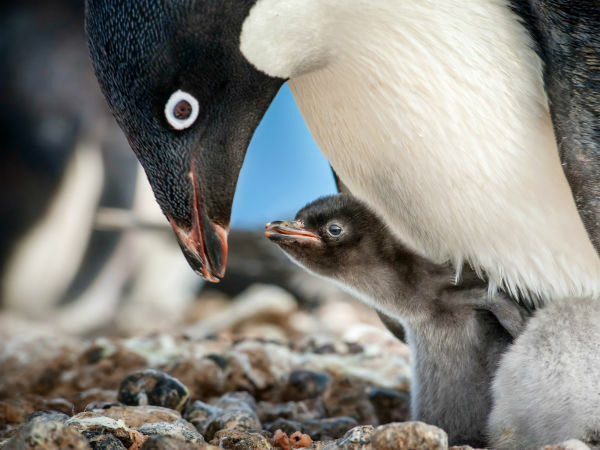 They are each surviving by the skin of their teeth, and one mistake could send one or both tumbling out of control. It’s no exaggeration that this is the best performance of McCarthy’s career. 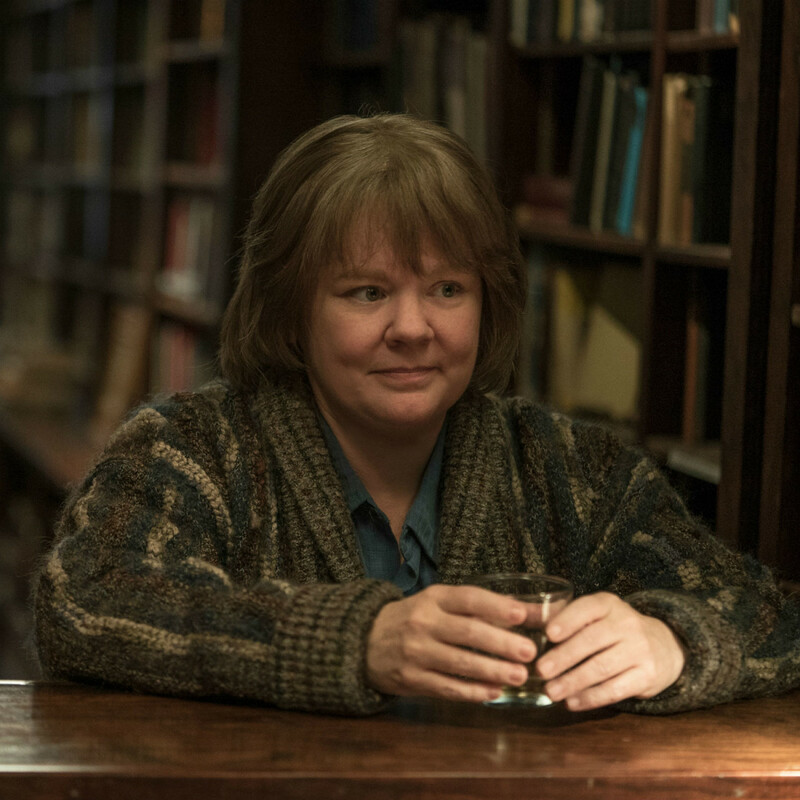 Her Oscar-nominated role in Bridesmaids has made her a go-to comedic actor, but she is better served with a role like this that allows her to slow down and consider every line she delivers. With Grant as an ideal foil, she hits every note perfectly, and should be a contender come Oscar season. Can You Ever Forgive Me? is not a showy film, as it mostly deals with the day-to-day life of a woman who can’t seem to get out of her own way. 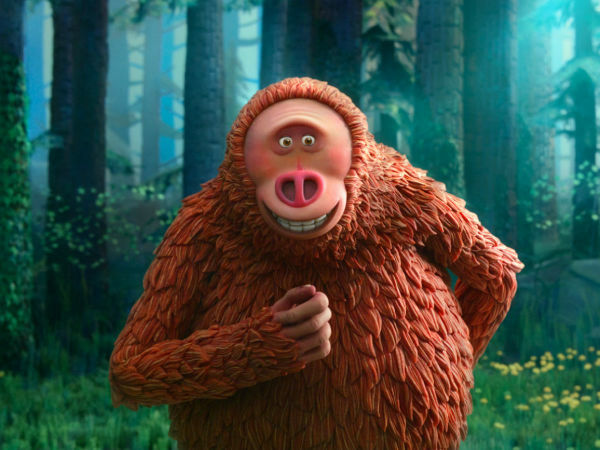 But with fantastic performances and some sneaky humor, it still sits toward the top of the heap of movies in 2018.